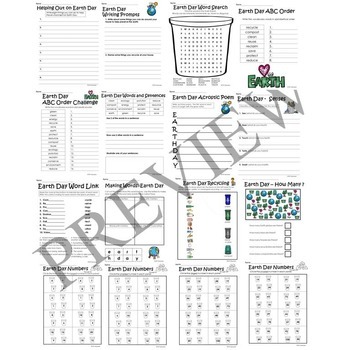 This " Earth Day No Prep Literacy and Math Activity Packet " has over 40 pages - no prep required - so the packet is a quick and fun way to teach about Earth Day with many printable worksheets. Many of these activities are differentiated so there are options for kids at all levels between Grades 1 and 5. 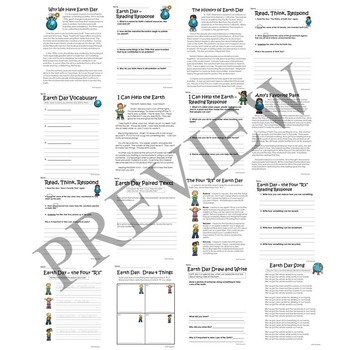 Please note that not all activities in this packet will meet your class' particular levels, but there should be enough variation in the resources from your high flyers to those that are more challenged. 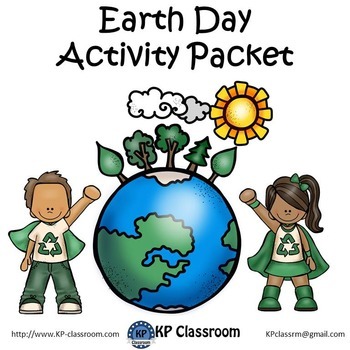 This Earth Day packet covers the history behind Earth Day and many activities about recycling and helping our environment..
• Earth Day - How Many? KP Classroom products are created by Kriss Pettersen. Be sure to follow the KP Classroom shop for updates and freebies. 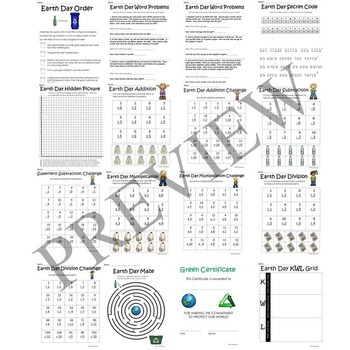 The KP Classroom shop also includes clipart for teaching resources by KP Clipart. If you have any questions please feel free to e-mail me at kpclassrm@gmail.com.